The first and most important step you should always take when choosing self storage is focusing on picking the best facility (whether a storage unit or better yet a moving truck). Your main objective should always be to have your belongings safe and secure round the clock. This means you should seriously consider the placement of security cameras; check to see if the property is properly lit and in the case of a moving truck make sure that you get the best locks. Just so you know, choosing the best locks to use on a moving truck is by far one of the most overlooked steps by many property owners. 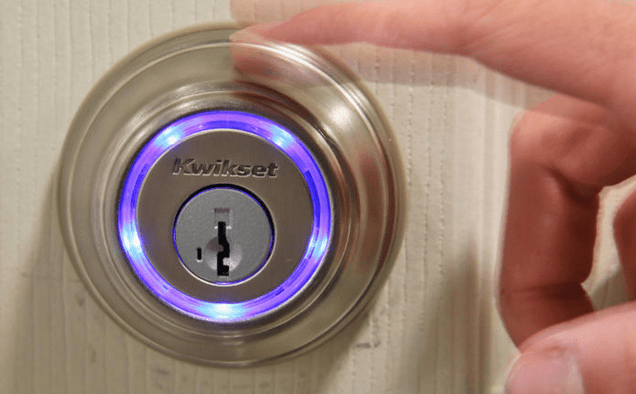 For your information, having the right locks is extremely important since it serves as you last bit of protection from theft hence it should never be taken lightly. At the moment there are several different types of locks which you can use on a moving truck. In order to help you choose the best locks to use on a moving truck, consider the following overview of the pros and cons of each type of lock as per findgoodmovers.net. Just as the name suggests, this type of lock does not require any kind of key. Instead of using a key to open and close, it is designed such that you only have to key in a series of numbers or better yet simply dial a combination and you are secure. It is equally worth noting that initially, these locks were mainly designed for cars fitted with remote entry systems. As time went by, they ended up being modified for alternate use such as securing the front door of residential premises, securing the gym locker, as a bicycle chain and now to secure moving trucks. The advantage of using this lock includes the fact that: it does not require any key and that it allows you to give other trustworthy people access at your own discretion. The disadvantages on the other hand include the fact that an intruder can guess the access code or worse off hack into the lock. There is also always the possibility of your forgetting the code. In addition to the above, it can also be easily cut open using a pair of bolts – cutters or hacksaw. They are also known as cylinder locks since the pins inside the cylinder are manipulated into a specific position and the set of keys cut to fit and finally open the lock. One of the main advantages of using this type of locks is the fact that in the event that you lose the key you have a new set re-keyed relatively fast without compromising the lock in any way whatsoever. When it comes to the demerits of this type of locks, for starters, they have been found to be easily picked by burglars since it is extremely easy to get hold of the lock pick tools or even create your own. As if that is not enough, Bump keys exist and provide very fast access to opening the locks. It is considered as the industry standard and is characteristic of a series of advantages when it comes to security. You will also be glad to learn that this type of locks were actually developed particularly for self storage and are best suited for moving trucks as well. It is for this reason that they are highly recommended across the industry as they go to lock for use. It is equally very important to note that these locks cannot remove using bolt cutters since their hasps are designed in such a way that this cannot be achieved. As a matter of fact, hitting one of these locks using a hammer will not break the lock the way it would when done on a keyless lock or padlock. Picking this type of locks is also not an easy task compared to other types of locks. Just so you know, removing a disc lock without having the key usually requires a bit of time and tools. This is clearly evident and is supported by the fact that you will need to actually grind it off. This being the case, someone who is not authorized to be in the premises would quickly move onto an easier target since grinding off a disc requires a whole lot of time plus it makes a lot of noise. These types of locks are also usually made of stainless steel hence they are least prone to rust in spite of being exposed to weathering elements all year round. To crown it all up, there aren’t many disadvantages linked to this type of locks. It is however very important to note that they cost slightly more than the standard padlocks and there is absolutely no question as to how safe they are able to keep your belongings. 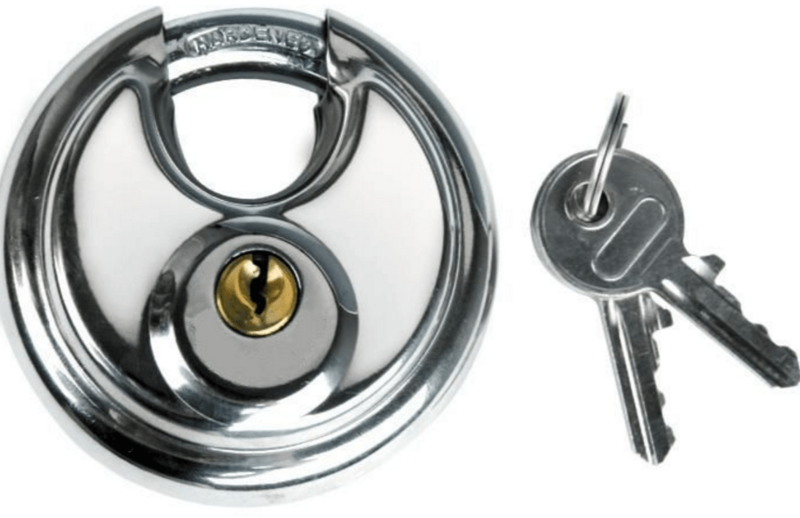 From the above, it is clearly evident that: Best Locks to Use on a Moving Truck are the disc locks especially if you are interested in having your stuff safe and secure. The lock that you choose is by far the best defense against anyone plotting to gain entry into your premises. With this is mind, you should be able to get the best locks to use on a moving truck without necessarily having to shop around. There are no comment yet. Be the first to comment.